Buffalo Bills head coach Sean McDermott revealed he was yet to speak to Vontae Davis after the cornerback's sensational retirement on Sunday. Davis made the most unorthodox exit when said he "was done" and left a game against the Los Angeles Chargers at half-time . He later announced his retirement on social media with a lengthy post explaining his decision and that he "meant no disrespect" to his team-mates or coaches, including McDermott, who said he has not spoken to the cornerback since his decision to quit mid-game. "I didn't feel a need. 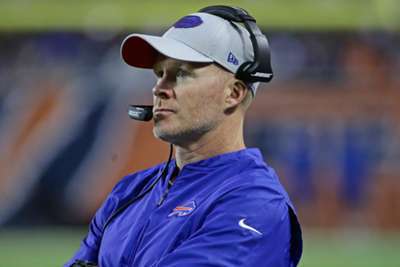 I'm focused on my team right now," McDermott said, via the Rochester Democrat and Chronicle. "There's no need to address it because we're moving on. That's what a team does, this is not going to become a distraction moving forward. The Vontae situation, his actions have spoken, he's retired." Buffalo fell to 0-2 on Sunday after a 31-20 loss to Los Angeles and will face the Vikings in Minnesota during week three.